Making its mark for being Bergman’s masterpiece and the imagery being copied by so many to the point of Monty Python. I wonder why I feel its deep themes in me. 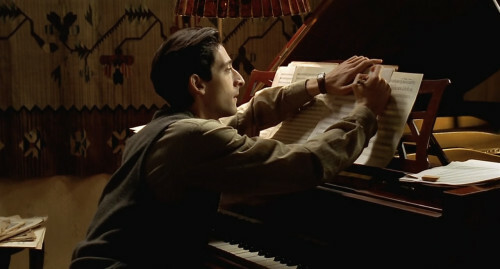 I was pretty sullen perhaps I was thinking how Bergman did this masterpiece that is so well-loved. It talks about faith,in particular when we actually do doubt if our faith would save us from “Death” or so. I kinda feel that Bergman was Block himself,at the age of eight-he denounced his Christianity and he find it so cynical why people cling to it when there is none. If you did some reading-The Crusades was a period during the Middle Ages where Christians have a mission to “conquer” Holy lands from Muslims-in result there are lots of bloody wars in the Process. Of course,having the Great Plague was perhaps a turbulent time as you seen people everyday dying from a disease spread by rats and kill more people. It was perhaps why he realized that faith is meaningless-there is so much suffering in the world that he was jaded by people who perform these rites. It was until his realization at the end scene when he met Death then he profusely prayed to God for his mercy. To me that hits me so hard as I watched this scene people telling what their lives are while Block was praying so profusely to God-to have mercy. It was so blunt until the line of the housekeeper said “It was finished.” Oh I was hit. I was quiet all this time. That is the realization that Block have. You could said he was the average man who is skeptical by faith. On the other hand,Bergman is not going to protest how faith is meaningless. For instance the couple-Mia and Jof represented the childlike faith,which Block lacked. From the more innocent and happier vision of The Virgin Mary helping a child to walk to the grimness when he talked to his wife Mia-“I seen the Angel of Death.” after seeing a vision of Block playing chess with Death. Even the ending was pretty comforting when he walked away after seeing that iconic dance with Death. 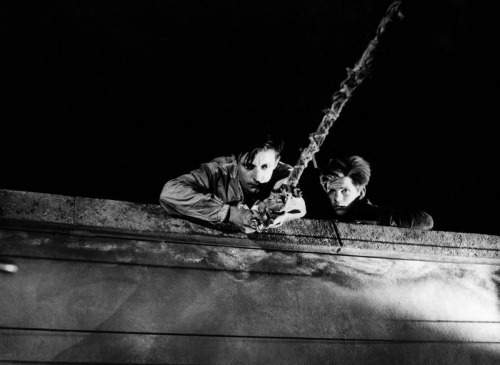 As of most Bergman films,it talks about life and death. 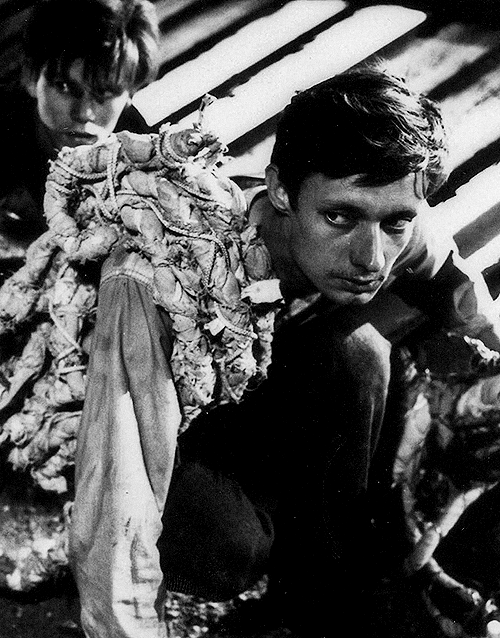 The idea behind the most famous scene was an experience Bergman encountered as a child. While tagging along with his clergy father,he went to a church and there is a mural of that scene of Death playing chess with The Knight. It was perhaps thought-provoking because we humans think we could do anything with our intellect. Of course the game of chess have to deal with your wits. Even Block confessed loudly “I want knowledge! Not faith, not assumptions, but knowledge. I want God to stretch out His hand, uncover His face and speak to me.” It was powerful-they wanted to God themsleves. However he could not escape death as seen tragically by a particular actor who died by falling from a tree. Or perhaps the last scene when the doomed dance with Death all together. No Death is that goofy Grim Reaper from The Simpsons or Billy and Mandy show. He was slightly clueless yet frightening by that stark appearance. 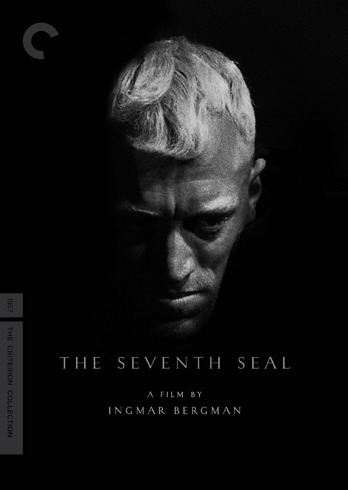 Bergman even admits that he was afraid of death himself in “Bergman Island”. It was contrasted by the warmth of Jof and Mia with their little son Mikadelf where they are later spared from The Black Death,they genuinely cared for each other no matter what. I find it interesting they mentioned “Wild Strawberries” as the food for Block . 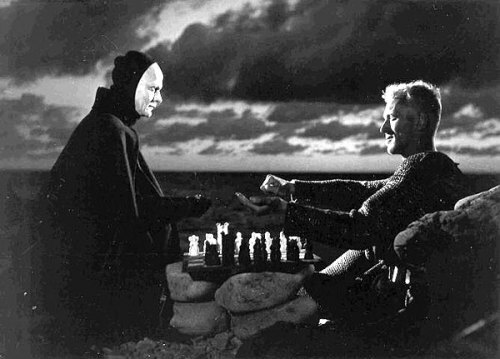 Bergman made that film incidentally called “Wild Strawberries” which is pretty opposite to the grim Seventh Seal and it do have a trippy dream sequence similar to that film about the professor’s encounter with Death. Again,these fruits showed about the joys of life that Block admits it’s almost heaven.